Should we watch the Olympics? We used to have to take time off from work — or at least leave work early — to watch the Olympics on TV. Now we can thank the engineering marvels of DVR and web replay for protecting our love affair with the Games from our evil work schedules. We are, rightly, mesmerized by the combination of talent, discipline, skill, and genetics embodied by the world’s greatest athletes. While admittedly luck plays a role, these elite athletes use strategies tuned over decades to prove who is the best on the world’s biggest sports stage. What is not to like? This year’s games promise to be epic with greats like Bolt and Phelps closing out their legacies, unstoppable rookies like Simone Biles planning to make their mark, and new sports like Rugby and Golf looking to reach new international audiences. Ready or not, here comes Rio 2016! Well, you might be ready, the corporate sponsors are and the IOC is ready, but Brazil is not. The country faces unprecedented corruption and scandal, a president forced to step down, insurmountable debt, sewage-laced water, external and internal security threats, an incredible number of poor residents displaced due to Olympic infrastructure implementation, and half a dozen serious viruses including poorly understood Zika linked to horrendous microcephaly and Guillain-Barre syndrome. Fortunately, we can watch from the safety of our homes. What’s that? You bought tickets when you heard Phelps would compete again? You need to make a hard decision about whether it’s safe enough to travel. And, here’s some solace: staying home might mean you lose a few thousand bucks, but Olympic-qualifying athletes making the same decision risk losing the most important defining experience of their lives. They shouldn’t have to make this decision. The stakes are too high. 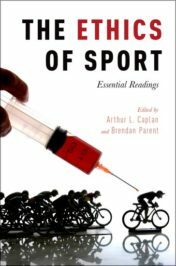 How does a potential Olympian weigh serious risks to health and safety against membership in the pantheon of the world’s greatest athletes? They (and maybe you) are forced to make this decision by the Olympic political-corporate behemoth that saw Rio’s signs of economic, public health, political, and safety failure and chose to keep applying band-aids to deep, festering wounds. Appropriate surgery would have meant postponing or moving the Olympics. Appropriate preventive treatment would have meant not giving the Olympics to a country whose majority population didn’t want the games to begin with and who will be left with useless venues and backbreaking debt. Despite valid last ditch attempts, like imploring the WHO to reconsider allowing the Games to proceed, we’re stuck with the mess. Should we, as Olympics fans, do something about it? Can we do anything? Raise your hand if you care about doing the right thing generally. Maybe you were part of the crowd over a decade ago that stopped buying GAP or Nike clothing because of unfair labor practices, which facilitated changes in both companies and made them leaders in corporate social responsibility. Maybe you pay attention to the origins of your food and don’t buy factory farmed chicken or out-of-season veggies that require insane resources to ship from warmer climes. Maybe you tweet research about company practices and influence your friends. Gone are the days of believing that one’s actions don’t affect the corporate tides. The profit-driven Olympics rely on broadcasting revenue, which relies on viewers. Does this mean we could have similar power over the behavior of the Olympic Machine, or maybe even a duty to not watch the Games? Whoa, slow down, we started this piece by agreeing that the Olympics are awesome. What happened? We began thinking about the context in which sports take place. Sports occupy extensive real estate in our hearts and minds. Unfortunately, power carries complicated obligations and when those in charge of sports do not know how to meet these obligations, or want to meet them, people are harmed. The same way we’ve learned to ask about the age, working conditions, and pay rate of the people who made our shoes and shirts, we need to question how many people lost their homes and how many travelers will get sick to put on the beautiful competition pageant we’ll see mid-August. Although the Olympics have caused and exacerbated serious problems throughout the years, they also do amazing things. They create jobs. They catalyze public improvement projects. They inspire millions, if not billions, of people. Even if these facts are not outweighed by their negative counterpoints, does taking a stand against watching the Olympics deny support to the deserving athletes and their home countries? They did nothing wrong and everything right to represent you. Despite racist and sexist historical roots and present corruption, the Olympics are good in concept. If watching or not watching is the average citizen’s main source of advocacy power, does acting on this power allow for the statement “I believe in the Olympics, just not this kind of Olympics”? No final answers here. Sorry. Just a belief that every fan has a duty to think hard about the consequences of their fandom. Sports are moral, not just diversions or entertainment. They unite countries, they start riots, they destroy bodies, they create leaders. And, it’s up to the ethical spectator to decide whether to watch the opening ceremonies in real time, DVR Judo on Friday August 12th, both, or neither. Featured Image: “Rio de Janerio Olympics 2016.” CC0 Public domain via Pixabay. Arthur L. Caplan is the Drs. William F. and Virginia Connolly Mitty Professor of Bioethics and Director of the Division of Medical Ethics at NYU Langone Medical Center. Brendan Parent is Director of Applied Bioethics at the NYU School of Professional Studies, a faculty affiliate of the division of Medical Ethics at NYU Langone Medical Center, and co-director of NYU Sports and Society.